Pruners (also called clippers, pruning shears, or secateurs) are used to trim and shape plants, deadhead, prune out dead or damaged foliage and small branches, and cut back perennials. They’re one of the most-used gardening tools so it’s important to get a pair that works best for you. Pruning shears generally won’t cut through anything that’s over .5 inches in diameter (some will cut up to .75 inch, but that will take a fair bit of grip strength). If you’re cutting something thicker than that, you’ll need a lopper (see our Best Loppers for Pruning review) or a pruning saw (see our article on Best Pruning Saws: Guide & Recommendations). Pruning tools come in a variety of styles and price points and it can be confusing trying to choose the right one. In this article, we review the features to consider when buying pruning shears so that you’ll know what to look for in choosing a quality tool. If you’re just looking for our recommendations on the best pruning shears, skip down to the end for details on dozens of hand pruners and a description of the major brands and models. Or, if you’re simply looking for a comparison of a variety of recommended pruning shears (including photos), see our interactive Pruning Shears Comparison Guide showing details of over 15 pruners. There isn’t just one kind of pruning shear that’s perfect for everyone. What works best for you will depend on your hand size and shape, grip strength, the type and amount of pruning you do, and your budget. But, in general, there are eight things you should consider when choosing pruners. There two basic types of pruners – bypass pruners and anvil pruners. Bypass Pruners. These are most popular. You get a clean cut from two curved blades that move past each other (hence ‘bypass’) just like a pair of scissors. One of the blades is sharp and cuts as it moves by a thicker unsharpened blade. Anvil Pruners. These have a one straight blade that cuts as it closes onto a flat edge (or ‘anvil’) – giving an action similar to a knife on a chopping board. They are usually slightly bulkier than bypass pruners which can make them tricky to get into tight areas. Because the blade often crushes stems when cutting (unless the blade is extremely sharp), these are best used on dead wood, rather than live plants. LEFT: Bypass pruners. RIGHT: Anvil pruners. Notice that bypass blades are curved while anvil blade are straight. You’ll also find a third type of pruning shear, although it’s really a type of anvil pruner, rather than a separate class. Ratchet Pruners. These have a clever extra mechanism to make light work of tough cuts. As you squeeze ratcheting pruning shears, they latch so you can release and squeeze again, performing the cut in easy steps rather than one go. It’s particularly good for those with less strength in their wrist, or for cutting thicker stems that regular shears cannot handle. We recommend bypass pruners, rather than anvil or ratchet pruners, as these generally give the cleanest cut, are easiest to use, are more likely to have replacement parts, and are good for a range of pruning tasks. Bypass vs. Anvil Pruners: What’s the Difference? Not all pruning shears allow you to replace parts that break, wear out, or get damaged. Generally speaking, the higher quality pruners have replacements parts (usually available directly from the manufacturer or distributor – check their websites for details) while the least expensive do not (it’s more cost-effective to simply replace the pruners). Keep in mind, however, that you get what you pay for – cheaper products may not stand up to frequent use and so may need to be replaced often. A slightly larger investment in a higher quality pruning shear may be cheaper in the long run. Not everyone likes so-called “ergonomic design” but, if you intend to prune or deadhead frequently, you’ll appreciate the way that these tools reduce wrist strain, require less pressure to close, and generally make the pruning experience more enjoyable. This type of design often includes soft-grip handles, angled blades, and a slightly curved shape. Pruners are also available with a rotating handle that turns with your hand as you open and close the handles (if you do a lot of pruning, this can make a huge difference in hand fatigue). Pruner blades are generally made out of steel. Sometimes they’re coated with a non-stick substance that resists sap and other sticky materials. Look for blades made of high quality, hardened or carbon steel – they last longer and are less likely to nick or need frequent sharpening. In fact, poorer quality blades don’t hold a sharp edge and so make pruning a laborious task that also damages plants. Related to blade quality is how closely the blades pass as you open and close them; the closer the better. Quality pruning shears will allow you to adjust the tightness of the cutting mechanism and ensure that the blades are tightly held against each other. Most pruners have some sort of mechanism that allows you to lock it in the closed position. Not only is this safer (you can’t accidentally cut yourself on a sharp blade) but it also protects the blades when not in use. However, some mechanisms work better than others. Look for a latch that’s easy to open and close (we particularly like the ARS ‘squeeze to open’ latch mechanism), doesn’t get in the way while you’re using the tool, and stays put when in the open or locked position. There’s nothing more annoying than having your pruning shears constantly locking up while you’re using them. Examples of different locking mechanisms. Many pruning shears have a spring between the two handles that pushes the handles/blades apart when you relax your grip. This reduces the workload and hand fatigue. There are two common types of springs: coiled metal (also called a volute spring) and wire springs. Both work well but look for one that’s tightly attached to the handles so it doesn’t accidentally pop off or get pulled off by branches when pruning trees or shrubs. Some brands, like Corona, have a spring-like system integrated into the cutting head so there’s no chance of the spring getting caught or popping off. Pruners without springs are more like scissors – they rely on your fingers to pull the handles apart with each cut and are very tiring to use for more than just a few cuts at a time. Some pruners, like those from Bahco and ARS, usually have springs (left). Others, like Felco, usually have a metal coil (right). Not all pruning shears can be taken apart for cleaning and to more easily sharpen the blades. Over time, sap, dirt, and other residue builds up on the blades and between the handles, making it harder to close and open the pruners. It’s easiest to clean your pruners if you can take them apart. Without taking pruning shears apart, you cannot sharpen the entire blade, resulting in warped blades after multiple sharpenings. Consider both how well the pruning shears fit in your hand and how large a diameter branch they can comfortably cut. Most pruners will manage about a ½” branch, but some can cut up to 1” or more. Don’t be tempted to cut larger branches though; it will be harder to make a clean cut and can cause wrist or finger strain. If you’ll be doing a lot of pruning, check the weight of the pruners – heavier ones will cause more fatigue. So Which Pruners Are Right For You? First, take stock of what kinds of things you’ll be pruning. Do you need a heavy-duty tool that will cut through 1-inch wood, or will a light-duty pruner for flowers and small shrubs be enough? That will help you decide whether you need a bypass, anvil or ratcheting anvil pruner. Then determine your budget. Like most gardening tools, pruning shears come in a range of price points and, while you typically get better quality at higher prices, it’s not always necessary to pay more to get what you need (see the point above). To help you make the right decision, we’ve provided two different ways of choosing pruners – by brand and by rating (although that only applies to the pruning shears that we’ve reviewed). Squeeze-to-open lock, extremely sharp blades and smooth cutting action make these my personal favorite pruning shears. They're my go-to for almost any pruning job. Easily makes beautiful clean cuts. Rotating handle reduces fatigue. Available in S, M, L. And for those who prefer it without a rolling handle, check out the PX-L2 (see below). Cuts, feels and looks like a pruner that costs twice as much. Nicely balanced, and makes smooth, clean cuts. This is Jack's favorite pruner and it's still going strong after 15+ years of use. Smooth, easy, and precise cutting. Available in small, medium and large. A compound action pruner that cuts through ¾ inch stems and branches with ease. Don't let the toy-like looks deceive you - this is surprisingly sturdy and easy to work with. Makes tough cuts feel easy. Makes quick work of cutting through even tough mesquite branches. Clean cuts, comfortable handles, easy to use. Unusual here in the USA. Makes nice clean cuts through harder stems. For lighter duty pruning in less than ¾ inch, this is an excellent choice, particularly for those with larger hands. A little clunky but it gets the job done. Quality control problems and an uncomfortable design make this a no-go. At this price point it's hard to beat but it just doesn't get the job done. The handles are slippery, the locking mechanism is problematic and the sharp tip protruding from the end is a safety hazard. A novel idea that needs to go back to the drawing board due to quality and functionality problems. An interesting idea but it simply doesn't work well as either a pruner or lopper. Difficult to cut through anything; the "power gear" doesn't make it easier. For a novice gardener who won’t be doing much pruning or deadheading, the Corona, Fiskars, and Dramm pruners are an excellent choice. They’re affordable and long-lasting, and some can be taken apart to clean and sharpen. If you’ll be doing more pruning work, you can’t beat a Felco, ARS, or Bahco pruner. While they’re more expensive, they are readily available, will last forever, and parts can be easily cleaned, sharpened, and replaced. There are models for smaller hands, lefty’s, and with rotating handles. And don’t forget a holster or scabbard to carry your pruners while you’re working in the garden. This will protect both you and the pruners from harm and will keep them clean. For photos and details on specific pruners from the brands below, see our Best Pruning Shears Comparison Guide. Felco’s are the pruning shears you hear about most often and, although many gardeners swear by them, that doesn’t necessarily mean they’re the best pruners available. They’re available in a variety of styles, including the classic F-2 (and F-6 for those of us with smaller hands), the ergonomic F-8, and the F-7 with a rotating handle (plus the F-12 for smaller hands). There’s even the F-9 for lefties. All are an excellent choice for general gardening work. The blades are made of hardened steel and have a handy wire cutting notch. The pruners can be taken apart for cleaning and sharpening and replacement parts are easily available. Prices generally range from $50 to $70, depending on the model. ARS pruners are currently our favorite for avid gardeners and professionals. You can see our review of the HP-VS8R pruners here. The one-handed, squeeze-to-open feature (to unlatch the blades) is a nice innovation, and the chrome-plated blades (to resist sap and corrosion) are extremely hard, needing less frequent sharpening than other brands. An ergonomic design adds to the comfort and functionality. Priced between $40 and $60. Bahcos are the pruner of choice for many gardeners and arborists who do a lot of pruning. They’re ergonomically designed (including the PXR series with a rotating handle), tough as nails, and come in a variety of sizes to fit any hand. The coated blades resist sap and dirt and can be sharpened or replaced as needed. Corona pruners are a nice middle ground between the pricier brands (e.g., Felco, ARS, Bahco) and the cheap (and short-lived) varieties. They can be taken apart and replacement parts are easy to find. The spring stays put, they’re easy to latch closed, and the sap groove and wire cutter on the blades are a nice touch. However, the classic models are quite uncomfortable if you’ll be doing a lot of pruning; the ergonomic BP 6590 may be more comfortable. Priced between $20 and $30. These pruners are available at most garden centers or big box stores for a reasonable price. With adjustable blade tension, a sap groove to help keep the blade clean, a 1″ cutting capacity, and an ambidextrous design (good for both righties and lefties), the 9124 is a good choice for the home gardener. For those looking for something more ergonomic, the UltraBlade PowerGear pruner offers a curved, cushioned handle and a special gearing technology that allows you to cut with three times less effort than regular pruners; especially good for those with less grip strength. Cost ranges from $15 to $30 for the various styles. Dramm has discontinued their cutting tool lines but you can still find them online so we’ve included them here because they have some very nice pruners and snips for light-duty gardening use. Plus they come in a range of bright, fun colors. With stainless steel blades to resist rust, a latch to keep the blades locked, and a 1/4″ cutting capacity, these are best used for deadheading, cutting flowers, or handling very thin branches; perfect for balcony gardens. Priced under $20. Thank you for such a comprehensive post! This was the best introductory article I found about pruners. I know ARS is better than Felco. How about ARS vs. Bahco? I’d say that ARS and Bahco are of similar quality. As for which is “best”, that really depends on the individual gardener. Personally, I still love my ARS pruners! Hello Yazeed. If your father will be working with branches over 1″ thick, I would recommend a pair of loppers or a saw, rather than pruning shears. We’ll be publishing a review of loppers within the next few weeks – please come back and see if anything seems appropriate for your father. Congratulations on your nice review! I would like to recommend a little change when you categorize from the aspect of cutting. Ratcheting is not a type of cutting, both bypass and anvil hobby pruners may feature ratchet mechanism. The third category would be double blade type with two cutting blades. This type is popular in Mediterranean countries, especially in Italy. These shears cut cleanly with reduced effort but often need more time for getting the good position for cut as the blades need more space. Double blade shears made of forged steel are generally heavy and expensive. In my wife’s hand,The True Temper by-pass pruner, with forefinger loop at the base of the cutting blade is the most functional. We are currently unable to find such a tool at Menard’s, Lowe’s, or Home Depot. Has anyone a suggestion about how/where to obtain the True Temper by-pass pruner – preferably in medium or small size ? I would be remiss to not mention WOLF-Garten Pruners here. The technology is far advanced (umm…no spring that pops off and gets lost in the grass!!) and comfort level superior to any pruners I’ve used before. These pruners are STILL made in Germany and quality is reflected. I use the RR2500 bypass pruner and absolutely love it. It fits my hands perfectly and is extremely comfortable. I just thought this pruner or at least something from the WOLF-Garten line should be represented here. Otherwise, great review, as always! Thanks for bringing up WOLF-Garten pruners, Gena. We reviewed some of their loppers for our Best Loppers article (and rated them as one of only 3 Highly Recommended loppers) but, unfortunately, we didn’t have any WOLF-Garten pruners to try out for this review. I’d love to try some! If they’re as good as their loppers, I’m sure they’d be a good tool for many gardeners. Thank you for the comprehensive review. I must say I’m torn between my trusty Felco’s and ARS pruners. Felco’s are the main hand pruner that we use at the nursery (since we buy them in bulk), but I find the ARS fits my hands better. Ergonomically I also think the ARS are easier to use, especially for women with a smaller grip. I look forward to more product reviews! Thank you for the kind words, Karyn! I was in the same position as you – I’d always used Felco’s because, well, that’s what you were supposed to use. But when I tried the ARS pruning shears I found that they were much more comfortable (I have small hands) and my hands didn’t feel as tired after a long day of pruning. But I still have my Felco pruners and I use them from time to time. If there’s anything else you’d like us to review, just let me know! I was cleaning the vines out of my hedgerow with a set of Blue Hawk (Lowes) bypass pruners when I found an old 1-inch stump that was throwing shoots into the hedges. I’d been at it for a while and didn’t go for my loppers. BIG mistake. Predictable result. Cheap metal on Blue Hawk snapped. Really miss my old Sears anvil pruner. Lost it last year. It’s probably buried in one of my compost heaps. Next set that I buy will be cheap anvils. Gonna paint them bright yellow. Just goes to show that you get what you pay for! I bought a tigerjaw P3 and it goes through 1″ like butter. Oh and its an anvil style. That’s not a brand we’ve tested yet. Looks like we’ll have to try one out! Apart for the Felco 2, all the other ones I have tested are with rolling grip – Felco 7, Bahco PXR-M3, ARS VS8R. I find the Bahco horrible. The worse by far of the three. Really unpleasant to use. The rolling grip is not well shaped and the first finger moves little by little forward with each cut, going out of the grip after 20 cuts or so. The ARS have also this problem and I am 80% sure it is also because of a too flat shape of the rolling grip, but I have ordered the 9R to see if it is a problem of a big hand (although mine is not so big, 8 1/2 gloves, or 9). I adore the unlocking mechanism of the ARS, I cannot understand why is it not used on every tool! But in my unit the tip of the lower blade protrudes over the upper one 3-4mm when closed, which can cause harming, and damage trousers and pockets, and finally also the tip itself. Also, the blades have a little movement when you twist the grips, so that there would be a little space between the blades according to what and how you cut (you know when a scissor is not fixed tight and you try to cut something and instead it bends? This). I have ordered a replacement to see if it happens again. Unfortunately I could not fix them tighter, not even a little bit. ARS should SERIOUSLY adopt the fixing mechanism used by Felco and Bahco. Which is also MUCH easier to adjust, and stays fixed longer. Overal the Felco are very clear winner for me, and the Bahco very clear loser, apart for the better rubber stop which avoid shocks at each cut. But I would definitely keep the ARS if they would not have those problems. Have you ever used Okatsune pruners? I haven’t tried the brands on your list yet, but man these babies can cut like nobody’s business. I think they have the hardest-rated steel of about any major pruners and it shows. And you can get them for under $30! I’d love to test the Okatsune pruners – have heard a lot of good things. They’re not easy to find though… Perhaps the company will send us one to review! Have you any Info on such tools ? WHERE do you think a replacement could be purchased ? I’ve always been a Felco gal, but this article made me decide to try the ARS HP-VS8Z Signature Heavy Duty Pruner. You can ever have too many good pruners!! I have gone through three original Corona clippers (One still in use) with more then one million spring, summer, and winter pruning of grapevines over more than 36 years in viticulture. Key to long lasting clippers is proper sharpening, cleaning, and lubrication. Good point Graciano – proper care is critical. Unfortunately, that’s the part that many people overlook …. I am looking for Shear Magic model # 562. Perfect for me, and have lasted 30 years of hard wear w/o sharpening. Any source? Change of company name? Hmmm. I’m sorry Nancy, but that’s not one we’ve come across. Perhaps one of our other readers has heard of that model? Monica, can you explain the small geared objects on the pivot point of the pruner such as on the felco F2. Is there some adjustable function there? If so, how does it work? What you’re looking at is the notched center nut and the toothed locking segment. Together, they’re used to adjust the alignment between the cutting blade and the anvil blade (the non-cutting blade). If you loosen the screw that holds the center nut in place, you can then use the adjusting key that comes with the Felco pruners to loosen or tighten the center nut until the two blades are properly aligned. Lock the center nut in position by inserting the toothed segment so the teeth mesh and lock with the center nut. Then re-tighten the locking segment screw. Over time, things shift a bit so doing this allows the optimum manual adjustment of the play between the cutting blade and anvil blade to clean, accurate cuts. Does this pruner work for left handed gardeners…me? I’m not sure which pruners you are speaking of. If you could be a little more specific on the BRAND, MAKE & MODEL then I can be more helpful. 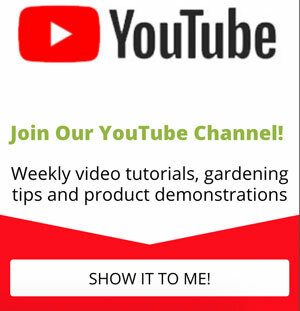 Thanks for your interest in the Gardening Products Review. Thanks for this nice review, what is your opinion,or of another gardener, on the Swiss LEYAT SuperPro or the LEYAT Roto? We have not come across the Leyat pruners. It’s not to say that we won’t, but at this point we have no experience with them. Thanks for your interest in the Gardening Products Review … and your question.